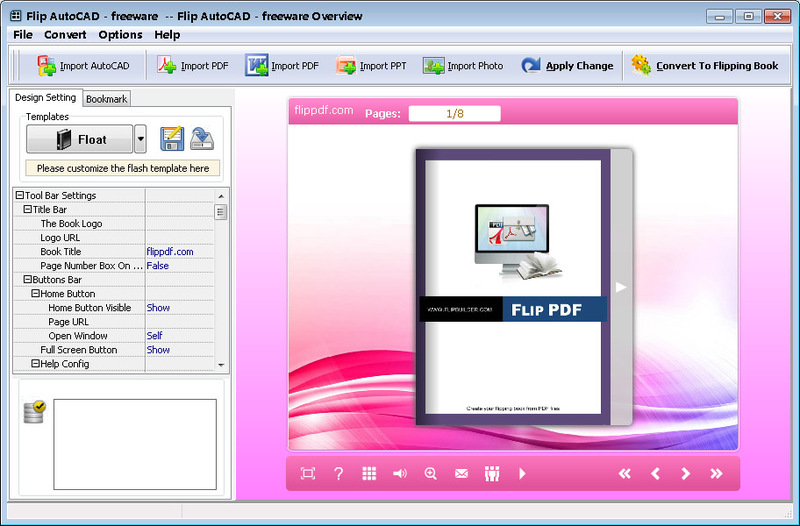 Convert AutoCAD (*.dwg; *.dxf) into a Digital Flash Flipbooks in seconds. Access your AutoCAD DWG from iPad, Android, iPhone, and many more. 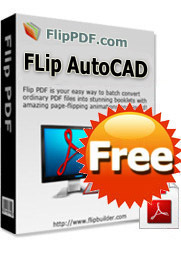 Publish AutoCAD (*.dwg; *.dxf) to multiple file formats (Flash\EXE\ZIP\HTML). 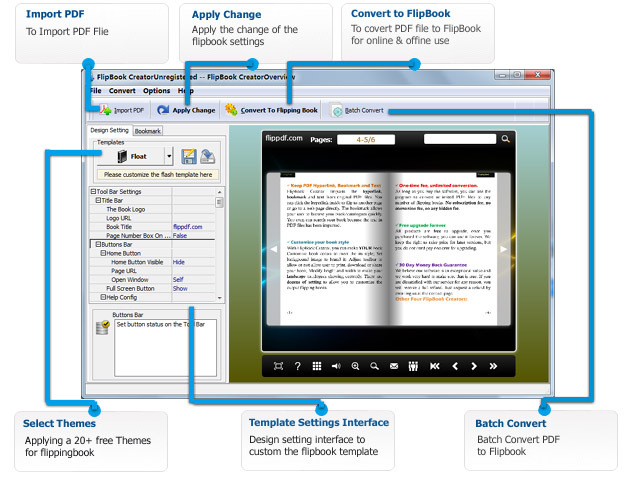 Flip AutoCAD allows publishers, marketers and web agencies to transform static AutoCAD (*.dwg;*.dwt; *.dws; *.dxf) materials into interactive online flash publications, with the popular flip page effect. The software can be installed locally on a PC computer, enabling full in-house management of the entire production and hosting of your online publications, giving you total control without being dependent on a 3rd party service provider. The software is incredibly easy to use with very little technical knowledge required to get started.